China’s sharing economy continues to grow at an amazing pace. Whether you call it sharing economy, crowd-based economy or collective economy, this fast-growing phenomenon has brought debate and disruption in every industry around the world. With over 600 million people using these services, China’s National Information Center believes that the sharing economy will become a large part of their development. 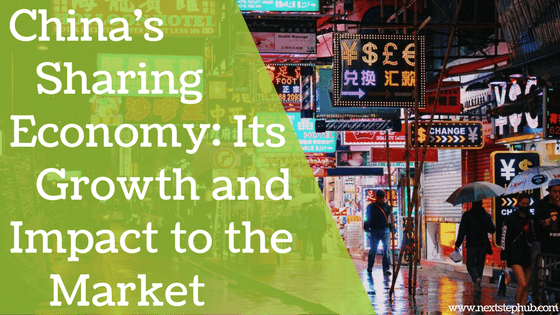 But how is the sharing economy in China impacting its people and the country’s economy? China’s sharing economy is continuously achieving a global breakthrough. More and more entrepreneurs in China have embraced the concept of sharing economy. Thus, services such as home-sharing, bike rentals, and ride-sharing began. These are the ventures that created jobs and contributed to the GDP of the country. According to State Information Center, it will be 10 percent of China’s GDP by 2020. In fact, sharing economy transactions last year ended with $500 billion or 3.3 trillion yuan net worth. And it has an expected growth of 40% this year, reaching a potential worth of 4.83 Trillion RMB or $705 Billion. AirBnB’s journey started from Joe Gebbia and Brian Chesky’s need to pay the rent. To make up for the money they needed, they rented three airbeds and cooked breakfasts for their guests. Thus, the idea of renting spaces became a hit in 2007. Since then, Angel investors and venture capitalists invested in their business concept. Thus, from 800 listings, they reached up to 1 million bookings in January 2011. Afterwards, their number of guests had grown exponentially. The success of Airbnb worldwide gave them the go signal to expand their business in China in 2015. But they wanted to create a localized platform while being smart in establishing their operations locally. In fact, they worked with venture capital firms such as Broadband Capital and Sequoia China to make their presence strong in the country. To reach out to their Chinese customers, Airbnb launched itself as “Aibiying”, meaning welcome each other with love. They also launched “Trips” wherein the visitors in China will be able to explore delightful experiences in Shanghai. Currently, they have 80,000 listings out of more than 3 million worldwide. 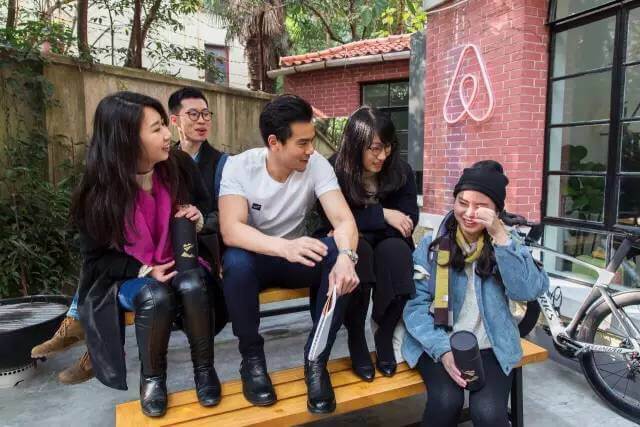 Airbnb Chief Executive Brian Chesky stated that he has signed memorandums of understanding, agreements with the cities of Shanghai, Shenzhen, and Guangzhou for them to take advantage of the benefits of home sharing. Despite Uber being blocked in the country, it still managed to get on the market in 2014. Part of their marketing strategy included luxury car services in three cities: Shanghai, Guangzhou, and Shenzhen. Uber also made a partnership with Baidu and offered a cut-price service in People’s Uber. It allows anyone to offer a personal ride using their vehicles as long as they have passed the background check. They also established a local team and opted to work with standardized car rental companies to avoid legal issues. Using these strategies, Uber was able to get 1 percent of the Chinese ride-sharing market at the end of 2014. In September 2015, Uber China raised $1.2 billion dollars from the investors. In October 2015, Uber founded Uber China that is based on Shanghai Free Trade Zone. But in August 2016, Uber’s biggest rival in the Chinese market – Didi, bought Uber China. After the merger, Uber owned 17.7% of Didi along with other existing investors in Uber China. This includes Baidu, which took another 2.3% of Didi. What does this megatrend represent for countries like China? China has set out a series of objectives to address the national economic threats and promote sustainable development. The nation has embraced this new model with the objective of promoting high-margin business and increase domestic consumption. It also aims to reduce the country’s reliance on the manufacturing industry. China has a young relationship with consumption. While in the west we’ve been shaping the consumer economy since the 50’s China has been dormant to this ‘learning curve’. These new business models are promoting a shift in the consumer’s behaviors worldwide. It is disrupting the mere notion of ‘on demand’ service and availability. Even the concept of “perfection” in the service is now being put to the test against affordability, convenience, and experience. The stakes are on a different level for a market where consumerism started on the 80’s with no prior knowledge of world trends and buying behaviors in the past 50 years. And in China, availability, and accessibility are ruling the game. Companies like Helijia, the mobile beauty service that provides on-demand bookings understands the Chinese market quite well. The company’s platform processes more than 4,000 orders per day. Freelancer beauticians sign up and get access to the app’s millions of customers needing personal services such as manicures, makeup, and even massages. Its convenience and ease of use made Helijia a perfect example of how to apply the model to a market in need of in-home services. Because of this, Helijia is now valued at $300 M or roughly 2.06 Billion RMB. 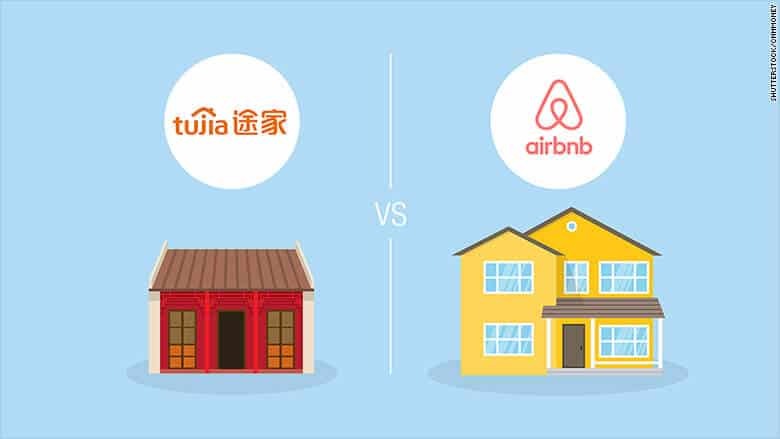 Tujia Holdings is one of China’s biggest home-rental platform. As the local take on Airbnb for vacation properties, it now has a staggering 430,000 listings available on the mainland. This puts Airbnb’s desires for expansion in China in a considerable risk, with only 80,000 listing on its own. The 4-year-old company last raised $300 million (2.06 Billion RMB) at a valuation of more than $1 billion (6.8 Billion RMB) in 2015. Although the brand still has much to do, the Chinese startup has stated its desire to take Chinese travelers everywhere in the world. Same goes for Didi Chuxing, China’s dominating ride-hailing company. Valued around $50 billion, the company has taken over the nation after Uber’s fail attempt at addressing the local market. 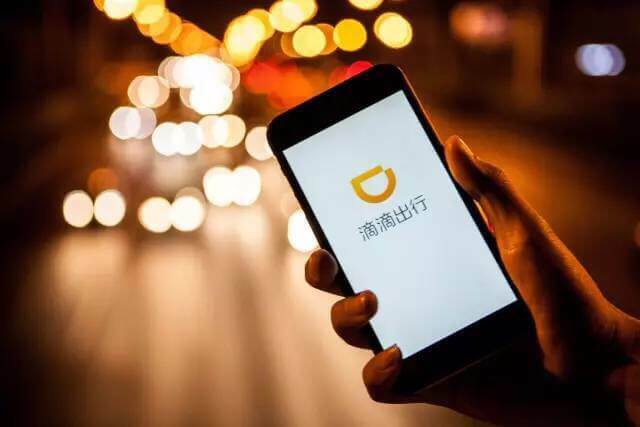 Didi Chuxing is also backed by companies like Apple and Alibaba and has shown their intentions of expanding globally. The company also plans on challenging Uber directly to take over the market in Europe, Latin America, and Africa. China’s sharing economy has also breached beyond the usual sectors. Nongtian Guanjia, an agricultural services sharing platform let farmers request for agricultural drone operators to spray pesticides and other chemicals to the land. The company has more than 5,000 operating drones and has now raised 7 million in funding. The world’s most populous country is presenting all types of ventures that are speeding its economic growth. The rise of players in the sharing economy and global and national objectives are driving China’s urgency to understand the relationship between the sharing economy and sustainable development. In an effort to explore the rise of the sharing economy and its impact on the nation, the China Council for International Cooperation on Environment and Development (CCICED) and the World Economic Forum (WEF) will sign a five-year MoU to jointly explore the implications of this new consumption model for the economy, society and environment. The digital platforms that host all these new ventures, register the huge amount of data which can help the government in different ways, from environmental monitoring to improved urban planning. A data-driven approach has the potential to set the pace for future developments. 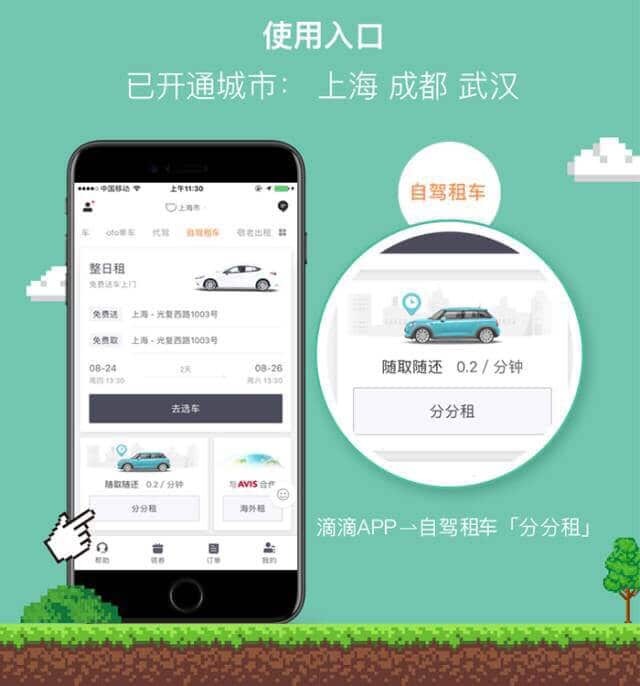 In 2015, Didi Chuxing informed that passengers shared an average of 1,143,000 rides per day, resulting in an estimated savings of 510,000,000 liters of fuel and 13,550,000 tones of carbon dioxide over the entire year. These numbers are also crucial for China’s goal of environmental development. Ride pooling proved to be an efficient way to reduce traffic congestion and pollution. 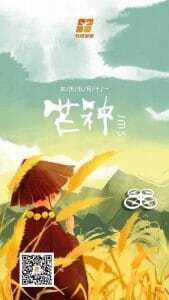 Most importantly, it has been well accepted among Chinese consumers. The legitimization of the shared economy will bring an opportunity for China to foster a new generation of billion dollar companies and boost investments in its stock market. Policy-making that leverages the benefit of a shared economy will push companies to align their business models to the overall goals of the nation while promoting a regularization of the current unstable financial system. Current projects are forecasting the future of the sharing economy in China, and the data provided could be the key for the Chinese government to tackle on the nation’s development plan. Although no one has figured out how to completely regulate the current companies, China has the opportunity to lead way and set the standard worldwide by structuring the right regulatory framework for the sharing economy and provide mutual benefits for the government, companies, and consumers. With its newly instituted Commission on the Sharing Economy in China (CSEC), the country is setting the tracks to align the sharing economy model to its development goals. And while the world keeps on looking for ways to regulate and replicate companies like Uber, China is coming up with a new set of players to please a nation where its middle class is estimated to reach 1 billion people by 2025. If you want to learn how to connect with China’s entrepreneur network and win, read through our article that talks about the art of Guanxi 关系.